Choosing the right bareboat or crewed sailing yacht for your needs is not as easy as it looks, especially if you have never sailed in Greece before. Choosing the right boat is not easy, for a different number of reasons; first of all, you will be chartering a yacht which costs a significant amount of money and you need to find the boat that will offer the best value for money, while adding to your pleasure, safety, convenience and enjoyment. Number of people on board: the number of the people of the crew dictates the size and type parameters of the charter yacht. How many cabins and bathrooms do you need? Will you use the saloon for sleeping purposes or not? If you really want to be comfortable, it’s better to avoid using the saloon for that purpose; there is nothing worse than being in incommodious conditions in a yacht. The limited space can cause serious problems and fights even among best friends; therefore it’s better to opt for a larger boat if you want to avoid such frustrations. The ideal sailing boat for a group of 4 is the 37 feet or 40feet, with three cabins and one or two bathrooms and showers. Type of vacation – bareboat, flotilla, cabin cruise: choosing the type of vacation is crucial for your further decisions regarding the yacht charter. Obviously, if you are going on a cabin cruise, you don’t have many options regarding the type of yachts. On the other hand, a crewed yacht charter gives you the chance to enjoy hassle free vacation, but obliges you to co-exist with people you don’t know on board. A larger yacht is always a great solution if you want to ensure privacy; the crew is of course skilled and experienced and will not mess up with you and your family or friends, but the space is limited by default, therefore the chances for privacy are also much fewer. If on a bareboat yacht, you have the chance to experience the thrill of yachting in the open seas and visiting the Greek Islands; in this case, you decide on the type of charter yacht based on your personal needs, number of people on board and of course the prices. The area of sailing or yachting: usually many people do not consider about the area of yachting when deciding on the type of charter yacht. This is an obvious mistake of people who are not experienced with yachting or those who are unfamiliar with the particularities of the Greek Seas. If you intend to sail the central or south Aegean Sea you will come across completely different conditions than in the Ionian or northern Aegean Sea. For windy and wavy waters the yacht layout and its sailing efficiency are of extreme importance; if you opt for a small motor boat in wavy waters you will not have a pleasant surprise waiting for you. On the contrary, a milder, hotter and less windy climate – like the one of the Ionian Sea – makes ventilation, open space and sun protection extremely important. Checking with the charter yacht company before deciding on the type of yacht, the model and the manufacturer can be vital for your vacation time. Your budget: needless to say, a large and luxurious sailing yacht – 54 feet for instance – can be much more expensive than a smaller one. Your needs, personal preferences and budget are extremely important denominators when choosing the right bareboat or crewed sailing yacht charter. 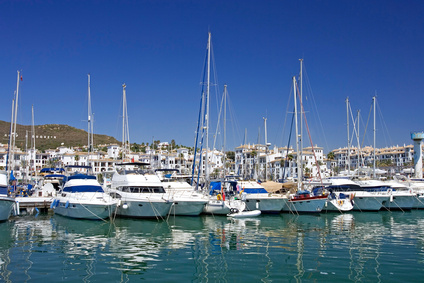 There are many ways to get better deals and enjoy affordable yacht chartering in Greece. Contact the yacht charter companies in Greece and find out about offers, discounts and the best prices depending on the time. Your sailing experience: Obviously your sailing and yachting experience will determine to a serious extent the type of vacation you will have; independent bareboat yacht chartering offers you a multitude of choices regarding the type of yacht and even broadens your selection among yacht owners and agencies, while crewed chartering can be more limited to larger companies and larger yachts. In any case, you should always consider that Greece offers a vast array of options regarding the types of charter yachts and types of vacation. A careful and well informed decision can determine the pleasure and enjoyment during your yachting vacation in Greece, therefore do not rush into any decisions before examining all the possible options and factors when choosing the right bareboat or crewed sailing yacht charter for your needs.